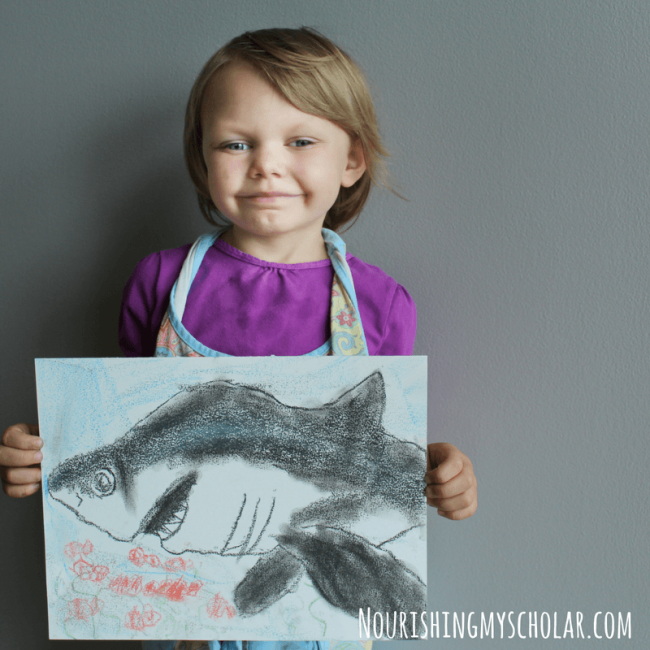 Do your kids thrill at the thought of shark week? 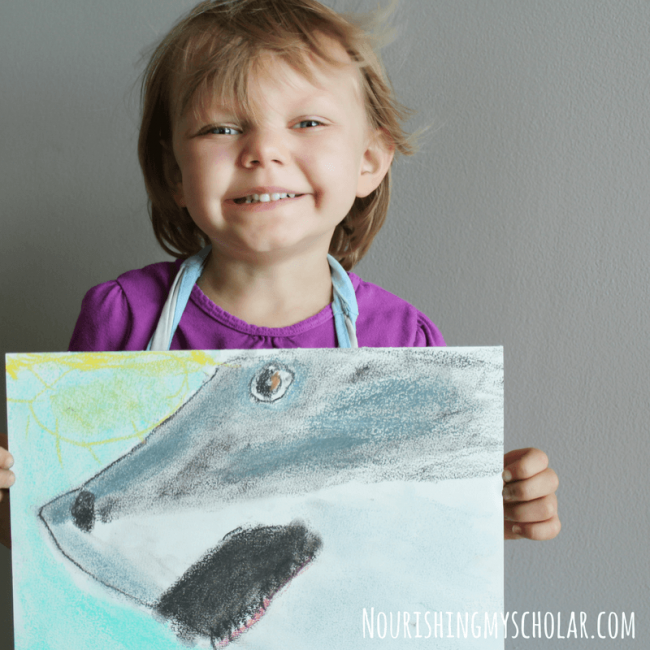 Perhaps your kiddos are like mine and obsess over sharks year round? 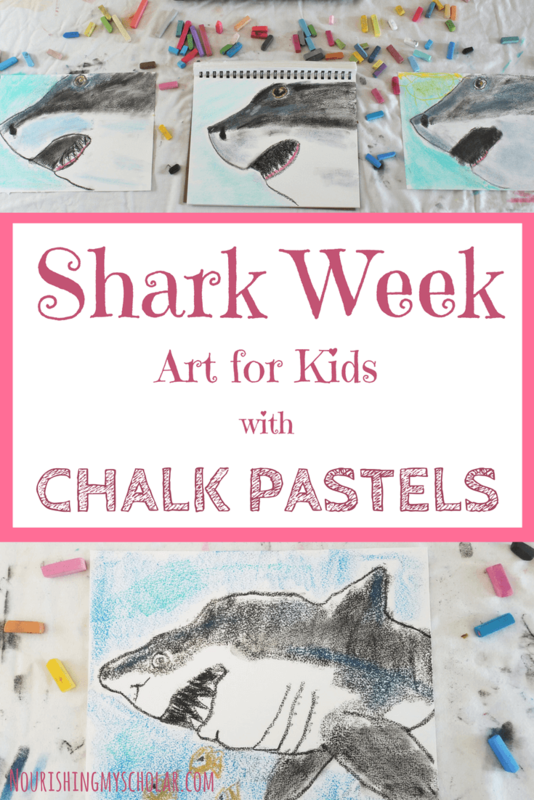 Either way, they are going to love shark week art for kids with chalk pastels! 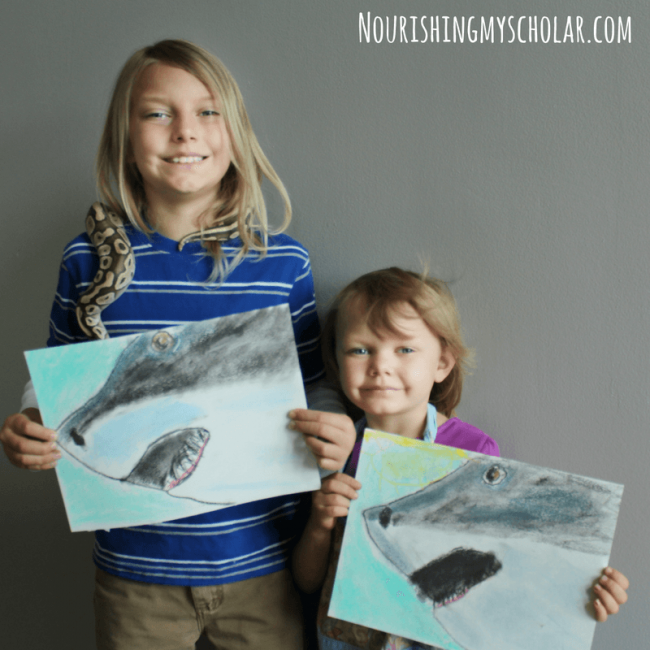 My children have had an obsession with sharks for several years. 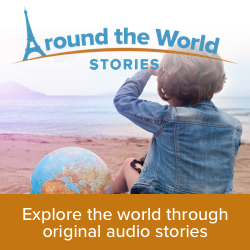 They even track a shark named Lydia around the Atlantic ocean with OSEARCH! 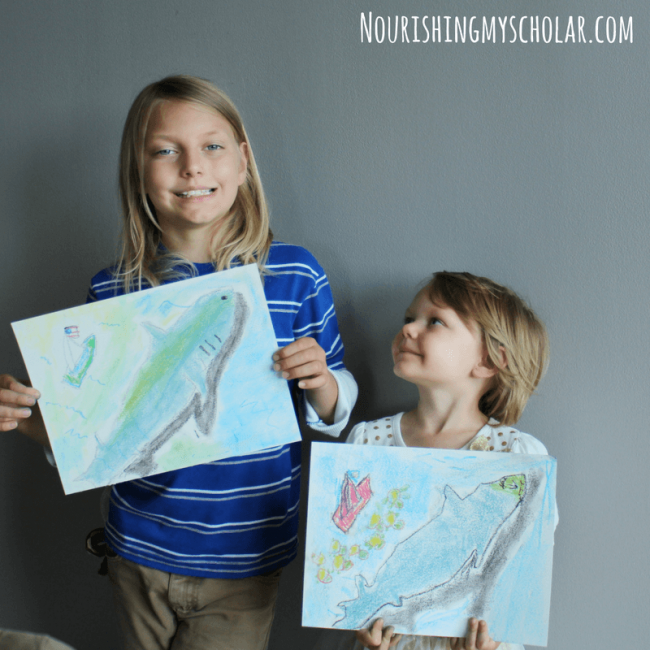 So let me tell you about their best-loved shark art! 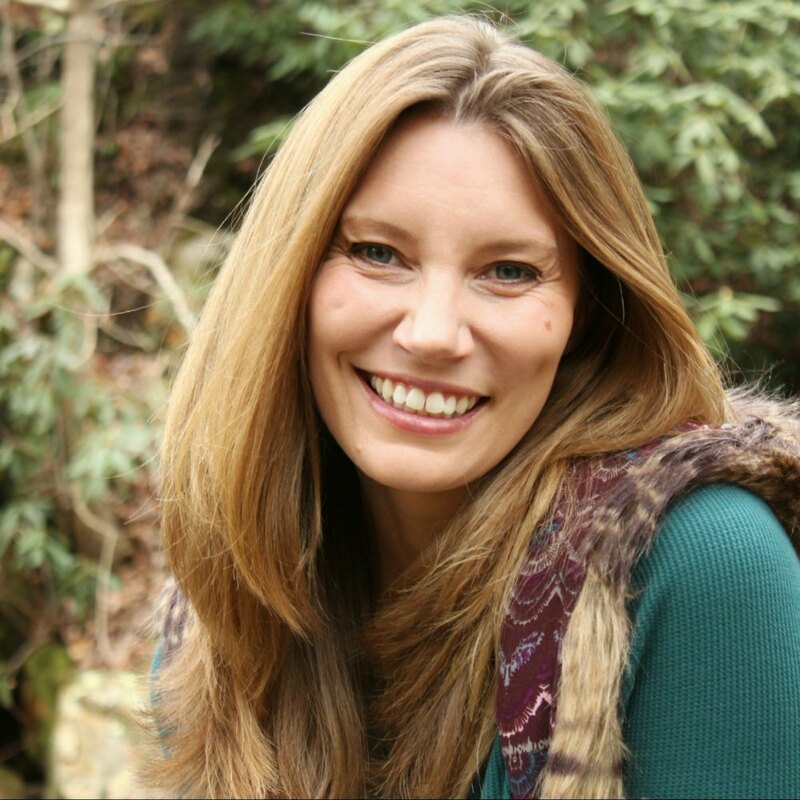 Shark close up…just look at the joy on her face! 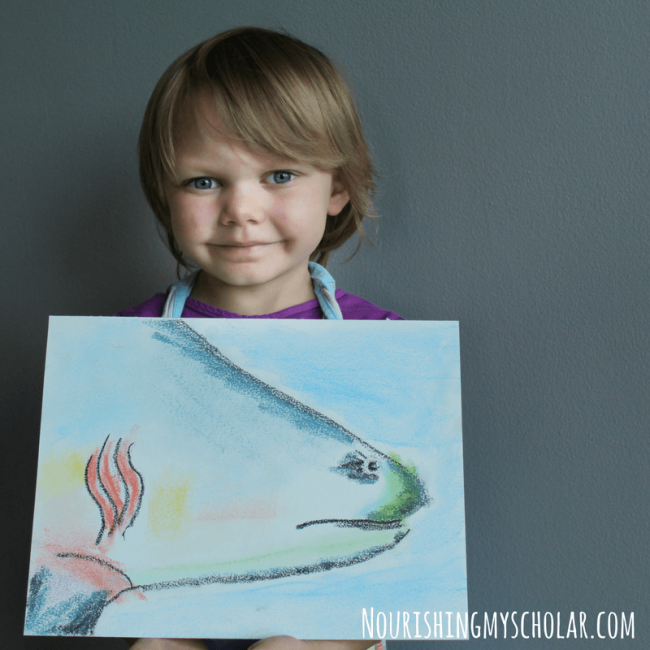 Shark Art Tutorials with Chalk Pastels was created by “Nana” and inspired by shark week. 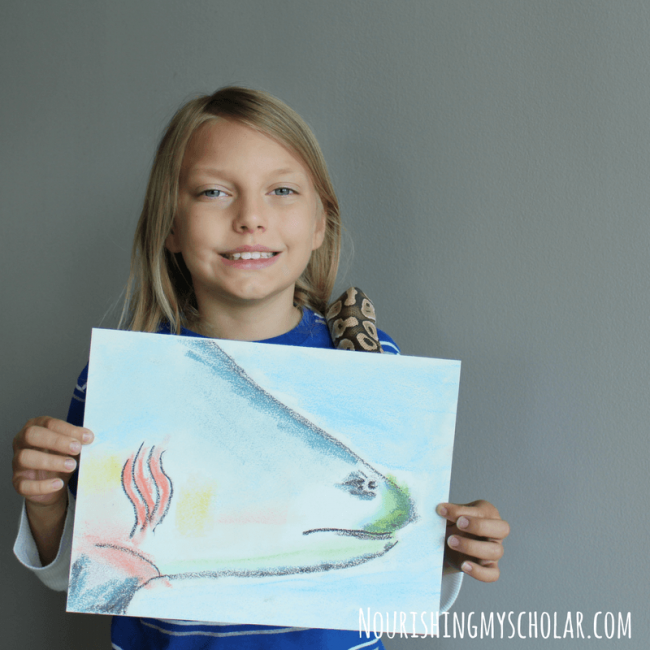 Yes, that is his pet ball python around his neck…He enjoys art with his favorite serpent. Shark close up. 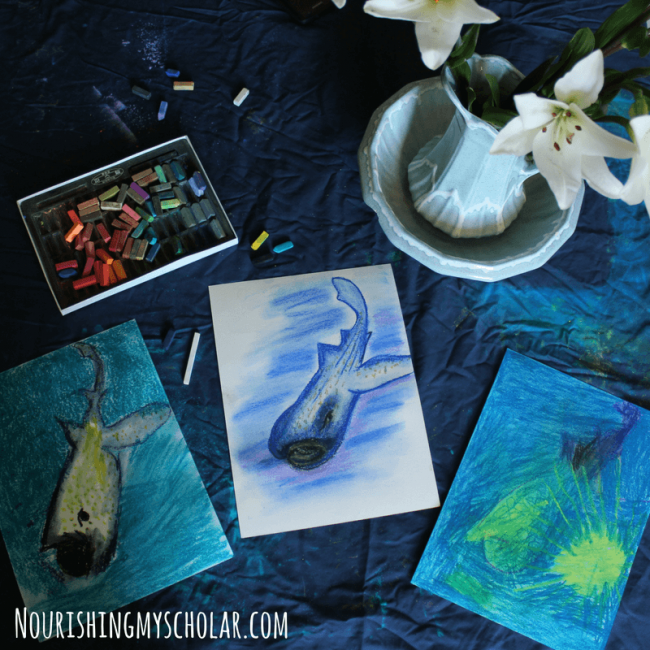 Folks, these e-books contain loads of sharks to be drawn with chalk pastels! 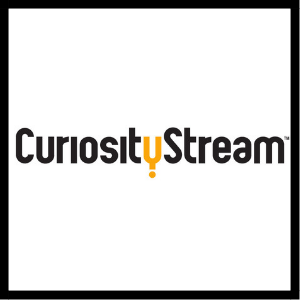 Plus, they are designed to be used by ages pre-K and up. That included us, moms! 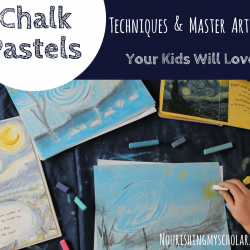 Chalk pastels are for everyone! Each Shark tutorial also contains fun facts about each shark! 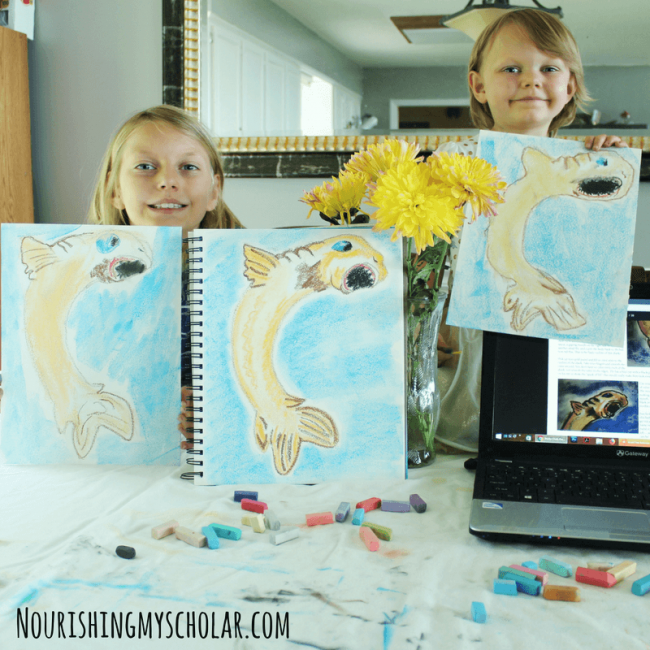 We learned some really cool facts like how the cookie cutter shark actually glows in the dark! 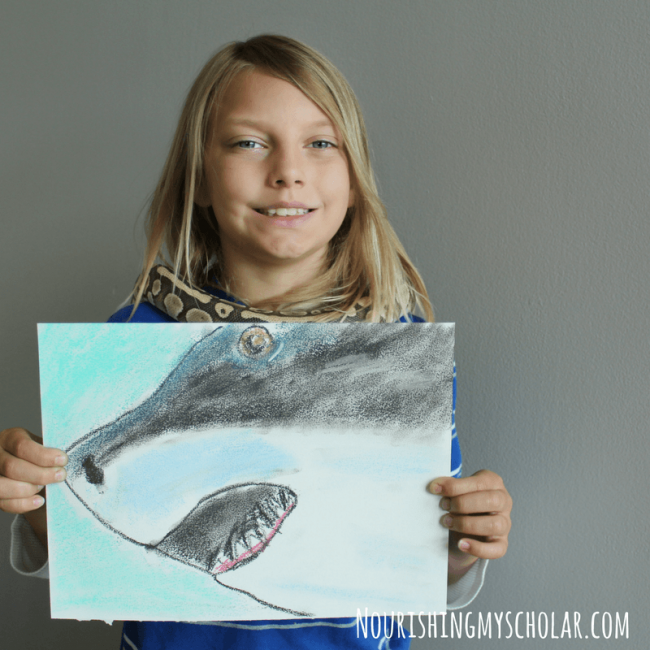 Did you know most shark attacks are from the bull shark? 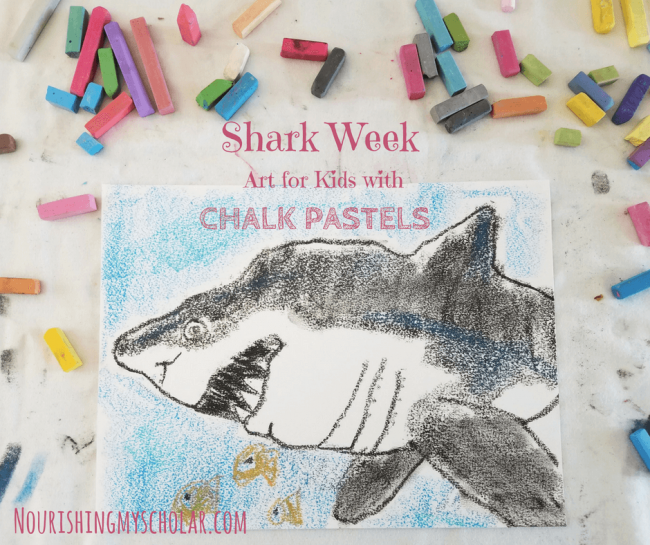 These shark pastels are perfect for shark week or if you want to explore sharks with a unit study! 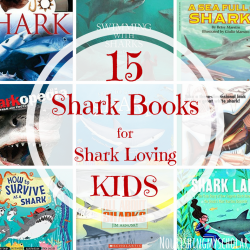 Just grab a couple of great shark books and documentaries and you are well on your way to some sharky fun! 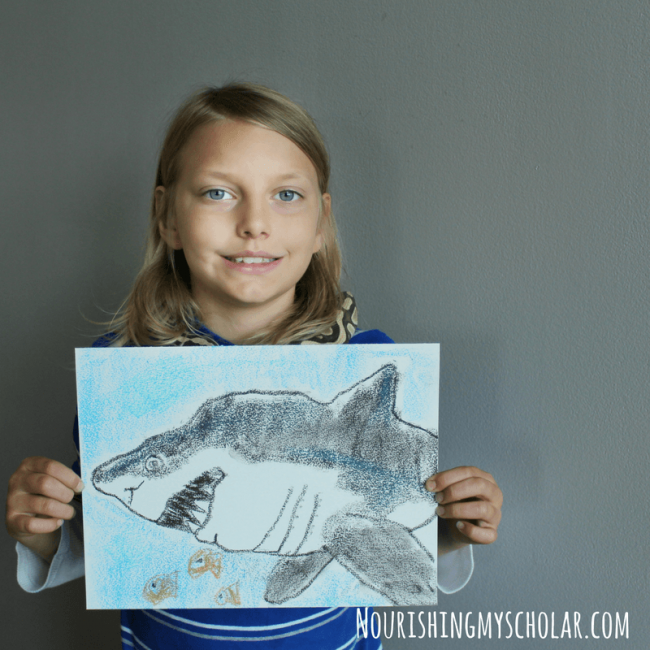 How will you incorporate sharks into your homeschool? 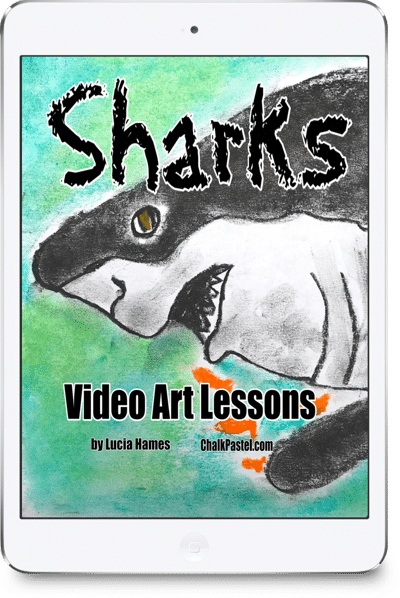 Chalk Pastels has introduced their new Shark Video Art Lessons! 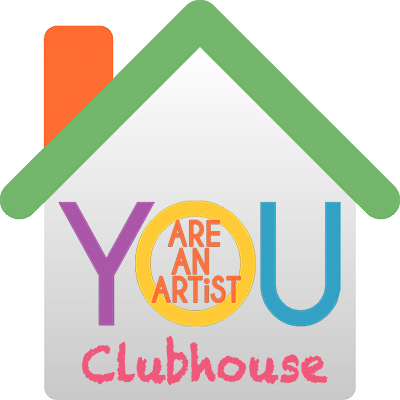 Did you know that Chalk Pastels now has a new Artist Clubhouse? 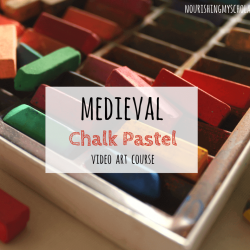 Instant access to A Simple Start in Chalk Pastels year-long video art course with 45 video art tutorials. 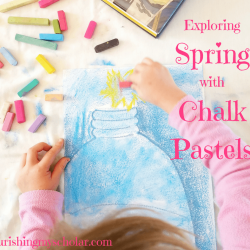 Get Started in Chalk Pastel Art, Preschool Video Art Lessons, Spring Video Art Lesson, and Forest Nature Video Art Lessons. 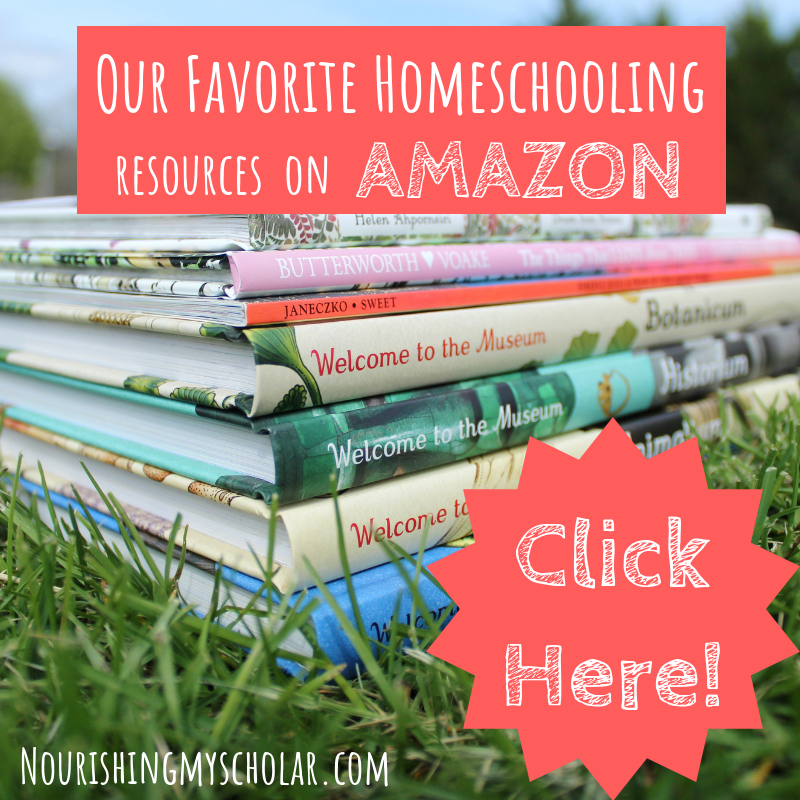 You can find out more or sign up HERE!